We all know the perfect relationship doesn’t exist, and yet it’s something that is aggressively marketed at Christmas-time. We don’t know whether to blame Love Actually or Mariah Carey herself, but either way, “happy couple” is the relentless message of the season. We can barely move for his ‘n’ her stockings, schmaltzy song lyrics and images of cosy couples in cashmere knits. No wonder the divorce rate shoots up after the holidays; it’s too much pressure to bear. And as for anyone who has the audacity to be single at such a time; well, you can forget it. If you don’t have someone to kiss under the mistletoe, you’re at least expected to yearn for it. None of the Christmas songs would make sense otherwise. Yet, as more and more of us choose to be single and live alone, a revolution is brewing. Christmas, just like any other occasion, doesn’t have to be stamp-marked with one-dimensional notions of happiness. And the first frontier of this battle lies with Christmas cards. Historically, Christmas cards have been saccharine affairs, filled with sentiments around love and Happy Ever After. Now, various entrepreneurs are turning the tables to mark a different kind of Noel; one that’s not inherently tied to coupledom. These greetings celebrate the joys of an un-couple Christmas; namely, the freedom to do exactly as you choose (without an explosive row over whose turn it is to take the bins out). And they take aim at the subliminal messaging of the festive season, including an unsaid pressure to “settle down”. At the same time, they also deliver a bit of a reality check to the tide of twee sentiments. So, if you too are fed up of being spoon-fed sentimental festive messages around love and relationships, get set to reclaim your Christmas this year. From the empowering to the funny and the brilliantly honest, we’ve picked out a few of our favourite alternative cards, below. Where will you celebrate being single in 2019? Soak in the rich music legacy of Nashville, Memphis and New Orleans, with barbecues, blues bars and a stay on a real-life Texan cattle ranch. 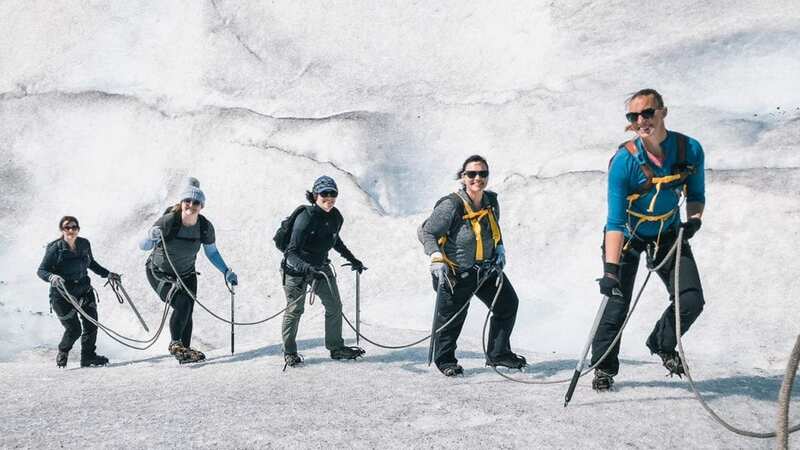 Ice-hike across Europe’s largest glacier, sea kayak in the heart of the wilderness and take a private RIB boat between the fjords. Knock back rum and learn how to salsa in colourful Cartagena, play a raucous gunpowder sport in Bogotá, and wander the rainforest and beaches of Tayrona National Park.